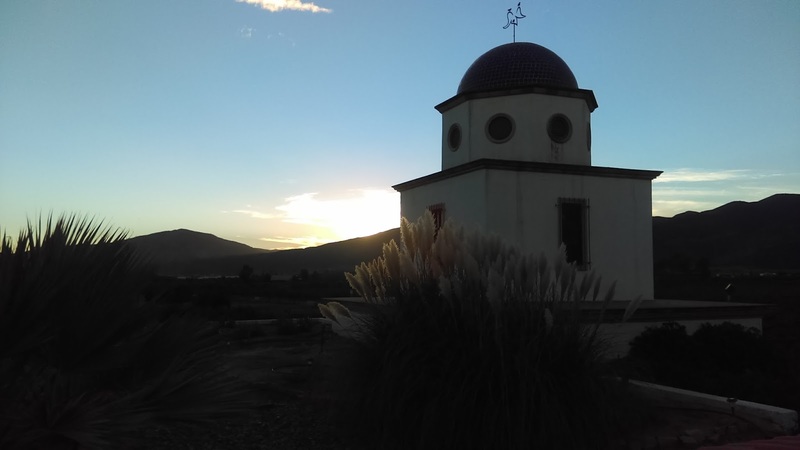 It seemed natural to want to explore Mexico's wine country, Valle de Guadalupe, where 90% of Mexican wine is produced. 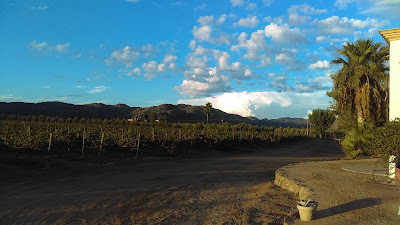 The Valley is just northeast of Ensenada, less than 2 hours south of San Diego. These Baja California wines are just starting to be exported north of the border. Here in Mexico, we've found California wines are difficult, and there is a big import tax on them. 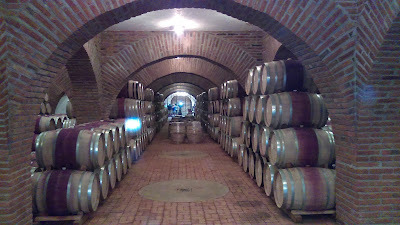 Chilean and New Zealand wines are more common as well as some largest production Mexican wines, like L.A. Cetto, that are distributed across the country. We gladly accepted an invite from friends Robin and Katie on Agave Azul to join their brother and wife on a stop in the Valley before continuing south towards La Paz. The two days and nights weren't enough. We've heard there are over 160 wineries in the Valley with numerous fine dining restaurants to match. We visited small boutique wineries where they produce just one red and one white yearly as well as one of the largest wineries, Monte Xanic, with annual production of 55,000 cases. There were lots of Cabernets (pronounced with the "T" at the end), good Red blends with Grenache the prominent varietal. Also a surprising number of good Sauvignon Blancs and crisp Roses which are welcome in the hot climate. bi-lingual. 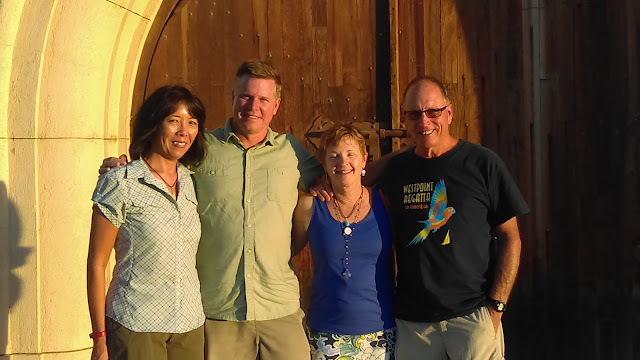 Many times we were the only clients there, which gave us great attention and insight into their winery operations. 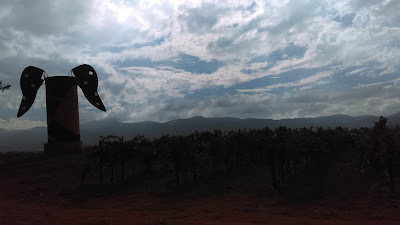 After two days of tasting and tours, multi courses dinners with wine pairings, and a few country lane walks, we moved slowly down the pretty highway towards Ensenada. It was a beautiful visit and even better knowing that we can stop again on our way back north next spring.